We know what it’s like trying to buy presents for someone. Our list of Christmas gifts for coffee lovers should help. There’s always that friend that secretly returns something or that friend who doesn’t know what they want until Christmas Eve. 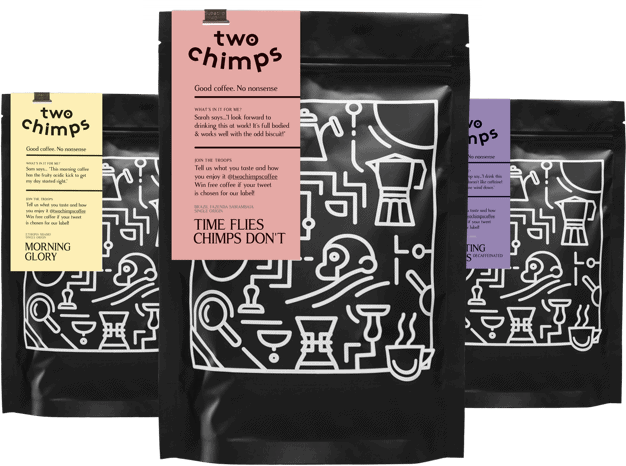 Well, those days are gone as we’ve got some awesome Christmas gifts for coffee lovers. The first of our Christmas gifts for coffee lovers is a cafetiere… A Barista & Co Cafetiere to be precise. This sleek brewing device has been designed with complete comfort in mind. It has an easy press plunger and a comfortable handle, so you’re coffee lover can effortlessly brew a delicious coffee. Its fine mesh filter allows for a smooth coffee to be brewed in minutes and with the choice of a 3 cup or 8 cup your coffee lover could be making coffees for the whole street! This gift set also includes a 250g bag of coffee which will be ground to suit a cafetiere. Prices start from £33.00 for a 3 cup to £38.00 for an 8 cup. Next up, we have the Handpresso Pump. This lightweight device is super handy for a coffee on the go. You don’t need to plug it in or use any batteries; you just need some ground coffee, a bit of hot water and some good ol’ elbow grease. This device works by, as it says in the name, pumping to create pressure which, as a result, will brew an espresso in a matter of minutes. This device is ideal for any trip your coffee lover may be going on, or just as a regular brewing device at home. This gift set includes a 250g bag of coffee which will be ground to suit this excellent device. A perfect Christmas gift for coffee lovers! If your coffee lover is a fan of filter coffee, this is the device for them. The Hario V60 Coffee Dripper has been designed to extract all the amazing flavours from a coffee while the filter papers make sure none of the grinds or oils spoil your coffee. It’s cone shape and interior ridges assist the brewing process and will also give a good air flow and heat retention. It’s safe to say that a coffee from this device will put you in coffee heaven. This gift set includes a measuring scoop, 100 filters and a 250g bag of freshly ground coffee. The Chemex is the ideal device for that ‘stylish’ coffee loving friend. Although this device may look quite simple, there’s more than meets the eye. The Chemex is made from non-porous borosilicate glass so; it won’t absorb odours or chemical residue. If your coffee lover has just brewed a coffee with this device and needs to go out suddenly, they can just cover the top and refrigerate it for when they come back. Why would you waste delicious coffee? This device is also capable of holding up to 850ml of coffee which is the equivalent to 6 cups of coffee. This is the device for any coffee party. This gift set includes 100 round filters and a 250g bag of freshly ground coffee. Is your coffee lover up to their neck in brewing devices? It sounds like they need some coffee to go with them! Our coffee gift subscriptions will make an ideal Christmas gift for any coffee lover out there. You are able to choose how often you would like the coffee to be delivered, how much you would like, the grind size and then the origin of coffee. You can also have the gift subscription sent directly to your coffee lovers house! Simply change the shipping address at check out. You can choose from two to twelve deliveries. All of our Christmas gifts for coffee lovers come with FREE First Class Delivery. If it’s a last minute gift, checkout using our Next Day Delivery for just £6.95. Hopefully, now you’ve got more of an idea of what your choices are to help you find the perfect gift for anybody that loves coffee. If you don’t think any of these will be right, check out our Equipment & Gifts page for a full list of all our brewing devices as well as other gifts.